Have you ever read a post by your favorite blogger, seen a product recommendation from them, and snapped it up right away? This is influencer marketing in action. By utilizing the voice of well-connected people in your niche, you can reach an audience that’s relevant and already engaged to make more sales. And, when 75% of consumers are more likely to buy something based on a reference on social media, it’s easy to see why influencer marketing is heating up. For buyers, it acts as a digital form of word-of-mouth marketing, which remains one of the most successful ways to get a business out there. But it’s win-win for brands, too, with businesses generating an average of $6.50 for every $1 they invest into influencer marketing. While it might seem tempting to jump in at the deep end and throw all your money at the biggest influencer in your industry, that’s not always the best answer. 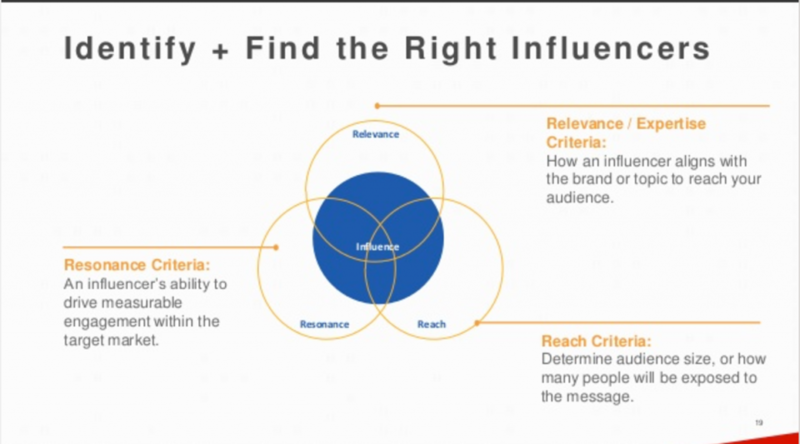 In fact, it’s well worth considering the different levels of influencers and which ones might be best suited to your campaign. 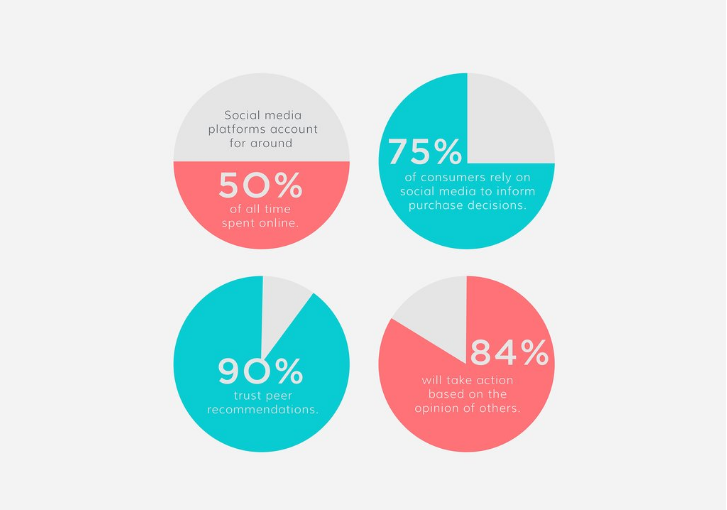 These are typical consumers who are active on social media but don’t necessarily have a large following. They post about products they love because they love them, not because they’re paid to do so. Micro-influencers could be anyone, from previous customers, to advocates with humble social media followings. TINT defines them as social media users with less than 10k followers. This graph shows that the more followers a social media user has, the less engagement they get on their posts. 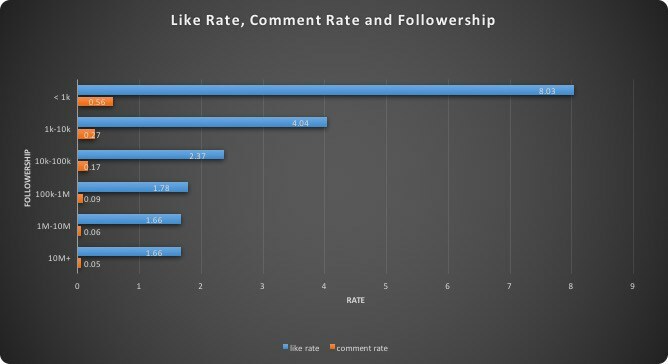 Those with more than 10 million followers get a like rate of 1.66 and a comment rate of just 0.05, compared to micro-influencers with less than 1k followers, who see an average like rate of 8.03 and a comment rate of 0.56. Looking at it closely, employing content created by micro-influencers aligns more with the old-fashioned idea of word-of-mouth marketing. These are key voices in your industry. Unlike micro-influencers, they have huge followings (usually 10k+ followers) and their livelihood revolves around their online presence or being famous in some way. Mega-influencers are paid to post content so brands can get access to their well-aligned and already-engaged audiences. This is an example of true paid promotion in the influencer marketing world. Now we’ve covered the two different levels of influencers, let’s dig into how you can leverage each kind to promote your brand. 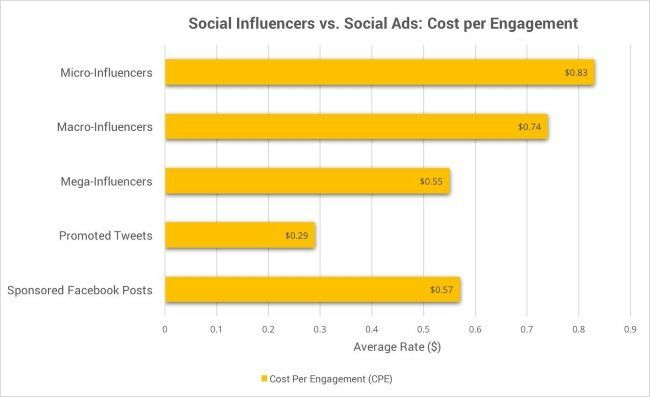 The main benefit of using micro-influencers to promote your brand is their relatively affordable cost in comparison to mega-influencers. According to a report by Influence.co, micro-influencers with between 2,000 and 100,000 followers charge roughly between $137 and $258 per Instagram post. When the number of followers crawls over 100,000, that’s when the prices creep up, sometimes to $1,000 or more for a single Instagram post. Micro-influencers also tap into the power of true word-of-mouth marketing. They are typical consumers like the people you’re trying to target, so they are much more relatable and, therefore, can build a more solid rapport with potential customers. Sarah Ware, CEO and co-founder of Markerly, said that when her company engaged with the Jenner and Kardashian sisters on Instagram on behalf of a weight-loss tea company, the celebrities helped bring hundreds of conversions. Which was nice. But by activating 30 to 40 “micro-influencers,” the brand was able to convert at an even higher level. On the downside, their smaller followings mean you might not reach as many people as you would employing a mega-influencer, but we’re going to talk more about how you can make the most of these smaller followings later on. First, let’s look at some brands that have jumped on the micro-influencer bandwagon and reaped excellent results. Tom’s of Maine creates personal products using natural ingredients. As part of their campaign, they wanted to boost engagement on social media and reach a wider audience, so decided to launch an influencer marketing campaign. But, rather than partnering up with household names, the brand decided to invite everyday consumers to take part, each of which had between 500 and 5,000 followers on social media. To validate each participant, Tom’s made sure that they could each engage their audiences on certain topics, ranging from an influential mom, Allison Goins, with 4,000 followers, to a bath products enthusiast, Joe, who has just over 3,000 followers. The influencers took part in a range of branded activities to raise awareness of Tom’s and boost engagement, and the results were great. Consumer engagement increased by 600% and, for every 1,000 micro-influencers they engaged in the process, the brand received 6,000+ interactions in return. The world-famous skincare brand, Clinique, wanted to raise awareness for their new line of products for men. They decided to implement micro-influencer marketing and targeted male influencers from a range of different professions – we’re talking filmmakers, stylists, and outdoorsmen. Each influencer chosen represented a different aspect of the brand, and the idea was for the men to seamlessly weave the new products into their daily lives. As a result, the campaign garnered 3.8x the engagement rate of the standard Clinique Instagram account and generated more than 67,000 interactions. 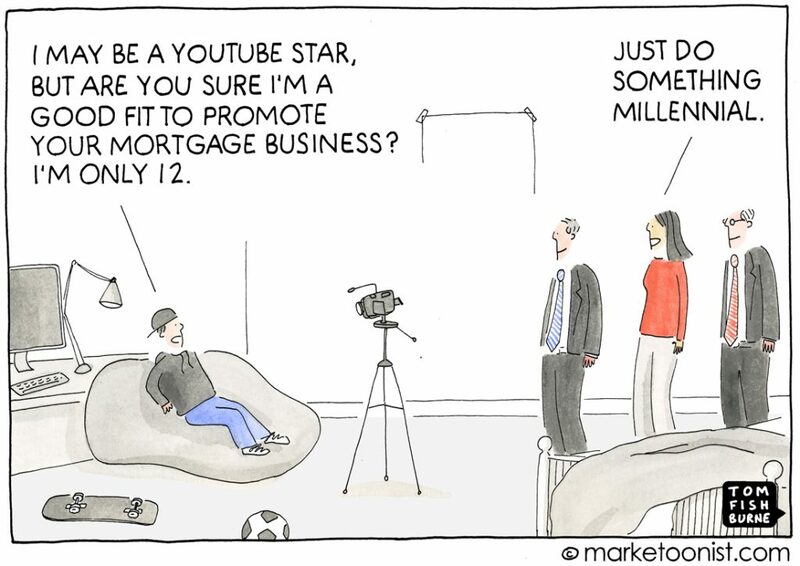 These micro-influencer marketing campaigns hit a few nails on the head. Firstly, they settled on a collection of influencers who were laser-focused to their target audience. Rather than just choosing well-known faces in the lifestyle and fashion industries, they also worked with influencers in a range of other categories that still aligned with their audiences. On top of a careful selection, the brand also succeeded in getting their influencers to seamlessly integrate their products into their daily lives – it was very natural and felt very un-salesy. This results in 74% of micro-influencers having a conversation that ends ends in a serious recommendation. Don’t let the smaller reach of micro-influencers put you off. Here’s how you can integrate them into a successful campaign. People love devouring stories. It’s a nod back to the days when humans sat around campfires and shared myths and legends with each other. Tapping into this human hunger for stories is a great way to leverage micro-influencers. 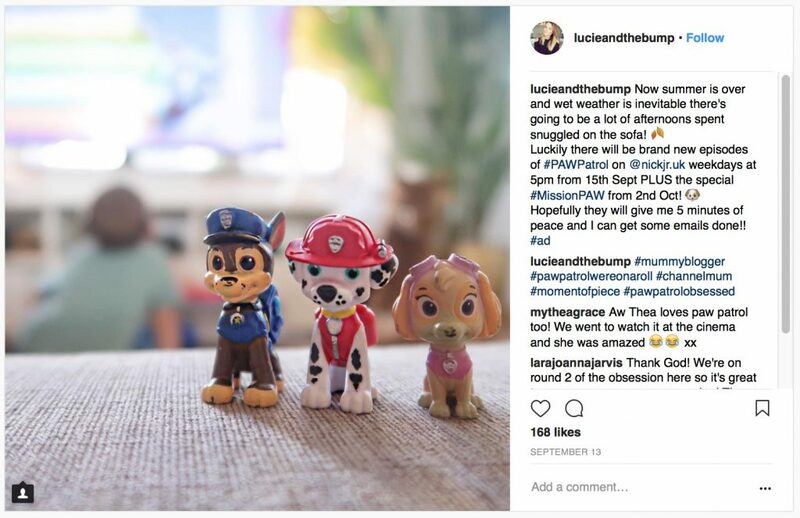 Take the Paw Patrol show and influencer Lucie Herridge, who shared stories around her son and the show to drive interest and engagement. 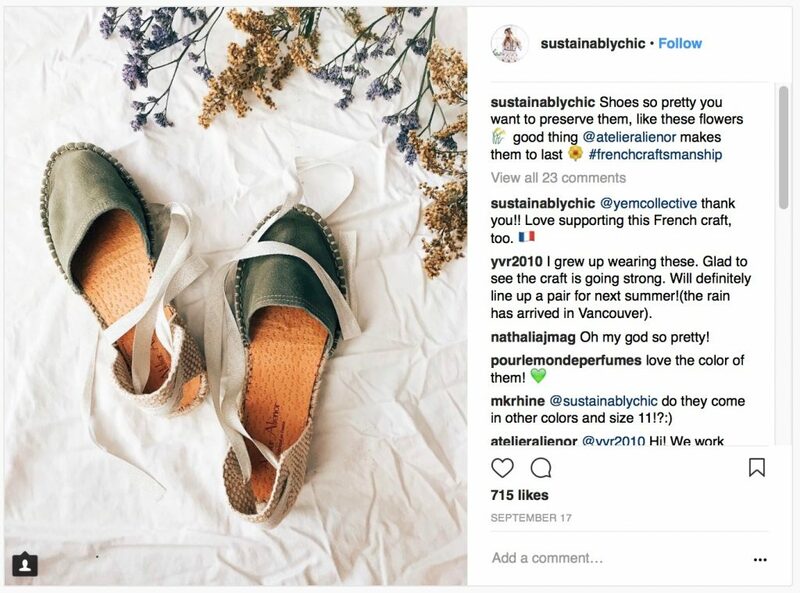 Eco-luxury shoe brand, Atelier Alienor, runs an ongoing micro-influencer marketing campaign with Natalie Kay. She regularly shares posts on her Instagram feed about the sustainable shoe brand. Instead of getting micro-influencers on board with your campaign, you can also tap into the content created by your customers. These are the people who know and love your brand and are willing to shout about it from the rooftops. Using TINT, you can collect content published by your customers across various social media platforms and integrate it onto your website, digital signage, emails, and screens. The benefits of mega-influencer marketing are self-explanatory – you get access to a huge audience that are highly-engaged and relevant. The downsides come into play when cost is involved. Employing the help of a celebrity or someone with a massive social following doesn’t come cheap (though the cost per engagement might be lower than a micro-influencer), and most brands don’t have the budget to accommodate it. 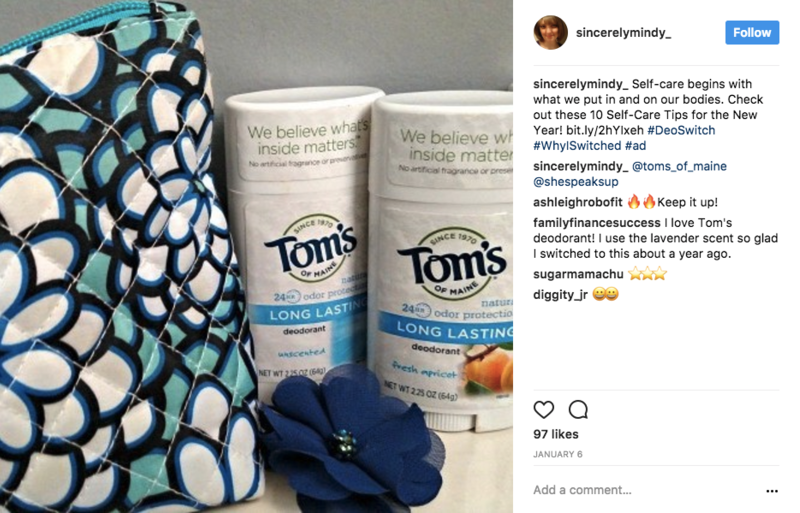 You only have to look at Kim Kardashian’s Instagram feed to see that brands are willing to pay the big bucks to have a household name promote their products, but let’s take a look at a couple of brands that have implemented this tactic and the results they garnered. 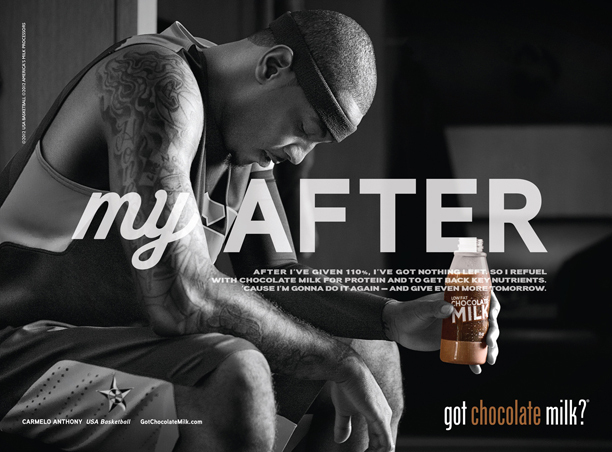 The Got Milk? revolution began before social media, when posters of famous athletes were plastered throughout cities promoting the benefits of drinking milk. 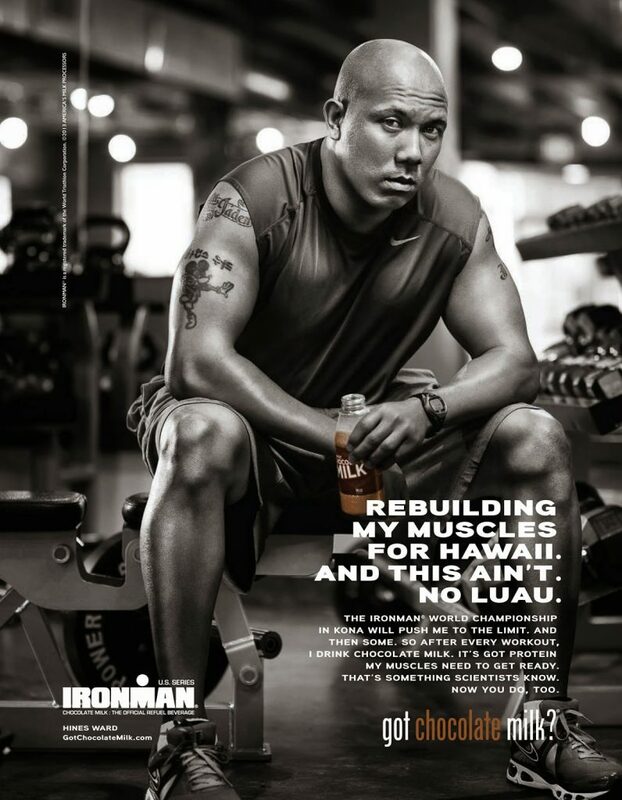 In recent years, the campaign has come back into full swing, with Refuel collaborating with former American footballer for the Pittsburgh Steelers, Hines Ward. The brand actively chose to engage celebrities that consumers don’t necessarily associate with its product to create a bigger impact. The results showed the campaign helped to change the common brand perception and drove an increase in sales from a new demographic. Parks and Recreation fans saw main character Ron Swanson, played by Nick Offerman, take the lead in Lagavulin’s latest mega-influencer marketing campaign. The brand of whisky was renowned for being Swanson’s go-to beverage, so it made sense for the company to get him on board to advertise it. By creating a 44-minute long “Yule log” video, which showed Nick Offerman sitting by the fire sipping a glass of whisky, they tapped into a niche audience – viewers of Parks and Recreation. Needless to say, the ad went viral and Lagavulin’s social media presence soared thanks to the familiar face in their campaign. This might seem like celebrity sponsoring, but because Offerman was chosen to star in it, it’s clear the brand were trying to target a specific audience. Both campaigns used well-known faces to promote their product, but they were carefully handpicked to target a specific audience. For the Got Milk? campaign, stars were chosen to change the face of Refuel and reach a new audience entirely, while Lagavulin tapped into the niche audience of Parks and Recreation. The main lesson here is audience is key. Think about who you want to target and choose mega-influencers based on that. The danger with choosing superstar mega-influencers is that you might be appealing to too broad a spectrum of people. Remember, the key isn’t how many people you can reach in one go, it’s about reaching the right people who align with your brand and will want to buy from you. For example, Kylie Jenner has a huge social media following, but her ability to influence that following might not be worth the amount it costs you to have her promoting your product. However, an industry blogger with a focused audience of 100,000 people might exert a more profitable influence over the people you want to target for a fraction of the cost. It’s all well and good choosing a famous name in your industry to promote your product, but it’s not enough to just have them whack up a half-thought-out ad and hope for the best. However popular your mega-influencer is, it’s all about the messaging. What do you want them to share with their audience? How do you want them to present your brand? These are all questions you want to ask yourself before you go ahead and settle on an influencer. For an epic influencer fail, we only have to look to the time Scott Disick pasted the instructions for a sponsored post in the caption of his Instagram upload. There’s obviously a fine balance between giving influencers instructions but not forcing a template – after all, they know their audiences best and understand how to interact with them in a way that works. The choice between the two relies solely on your brand and the audience you want to reach. Though going with a mega-influencer might seem like the tempting option, micro-influencers often exert more power over a more engaged and focused audience. 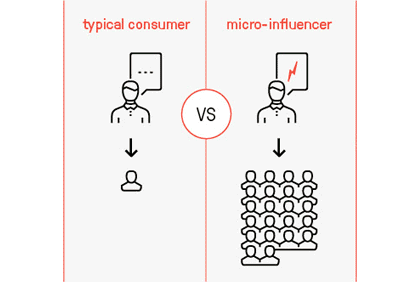 The term micro-influencer doesn’t just refer to people with a small following, it also includes your customers – a.k.a. your biggest advocates. Marketers were expected to spend $1.07 billion on influencer marketing in 2017, which was double the amount they spent in 2016 – and it doesn’t seem to be slowing down anytime soon. With marketers set to spend more than ever on influencer marketing this year, it’s time to catch up. But whichever option you choose to go for, keep your message in mind and know exactly what you want to achieve with your campaign. 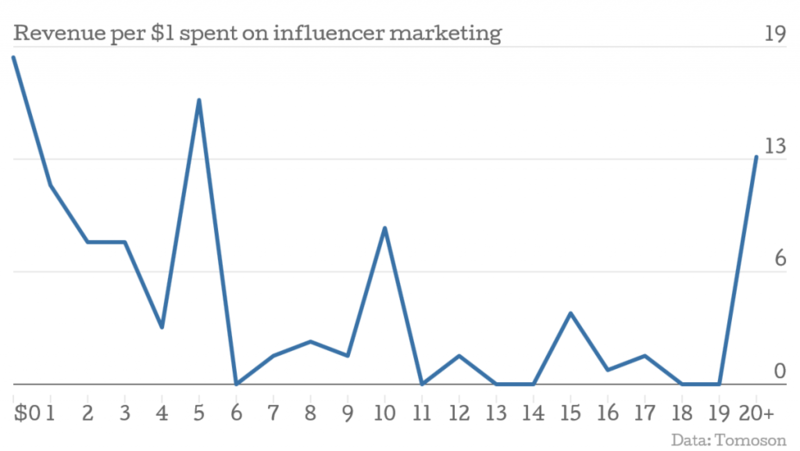 If you’ve got that covered, your influencer marketing campaign should be a roaring success. Thanks for reading. Connect with me on LinkedIn and read more articles on my blog!